Operating under license from the Gaming Authorities of Malta, Spin Palace Casino is one of the big players in the Canadian online gaming space. Their dedicated customer service combining with the very laudable Microgaming software in use makes this casino a one stop shop for anything online game related. Spin Palace Casino has proven over the last 15 years of its existence that they have what it takes to weather the storm and etch their brand into the minds of several casino lovers. Despite its Canadian origins, the casino encourages players from across the globe but then ensures players resident in Canada have the exclusivity that they deserve by operating a similar yet standalone website for them to play at. Spin Palace Casino supports almost all real-cash payment methods available in Canada in addition to the common ones like Master and VISA cards, EntroPay and Skrill amongst several others. INSTADEBIT is also available to canny Canadians which allow them to seamlessly transfer funds from their bank account to their Spin Palace account. While the web platform is well rounded, the casino ensures that players who spend most of their time on mobile devices don’t miss out on the fun by developing a mobile App with a platform that runs on Android, iOS, BlackBerry based devices and other smart phones. Transactional details of members are properly secured despite the mobile site being able to handle multiple methods of payment. It is also optimized to handle account registration directly from your mobile devices. The only log on information required at this stage is your phone number after which text messages containing bonus packages will be sent to you periodically. Suffice to say that there is a staggering $1000 welcome package that is spread over the first three deposits. As earlier discussed the mobile site does not significantly reduce the number of games members can access mainly due to its advanced optimization hence even the very popular Mega Moolah from the progressive slots series is available on mobile. For members who download and install the casino, the Android App with which the software will run is on the Google play store for free. In terms of game provision, Spin Palace Casino leverages the Quickfire software from Microgaming to present in excess of 600 games with a payout rate of not less than 97% making it one of the highest in the industry. To spice things up, there is a Live Dealer casino that has just been commissioned where members can enjoy blackjack, roulette and even baccarat games moderated by human dealers. The Live Casino also breaths live from the quarters of Microgaming. If you are a slot lover, then Spin Palace is the place to be because there is hardly any casino that comes anywhere near it when it has to do with slots. 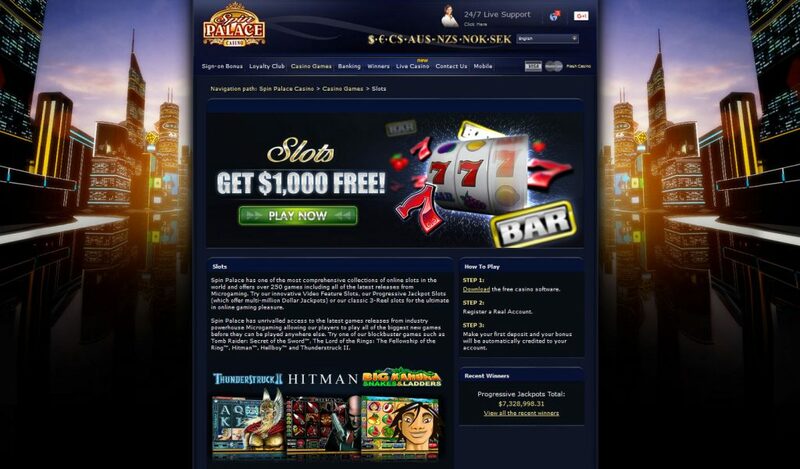 They have over 400 slots games including 100-payline Cashapiller. 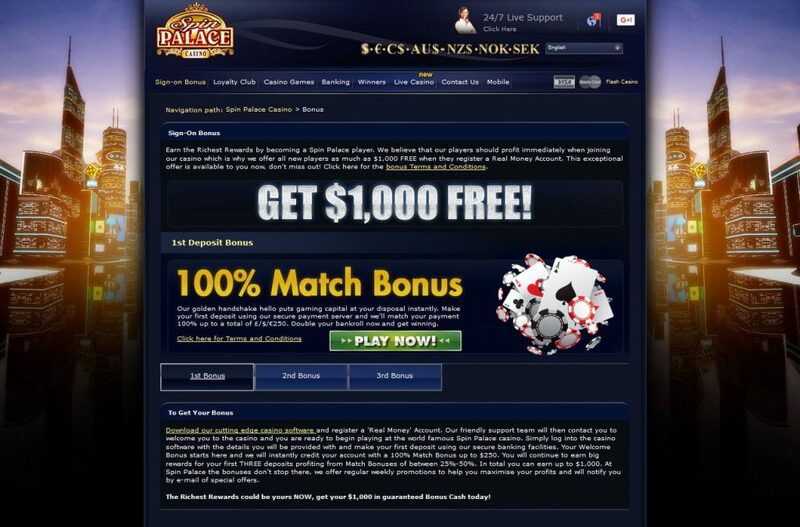 So at this point, there is a good chance that some of you might have gone to have a feel of the site itself which is good because one of the first things you’ll notice is that Spin Palace not too long ago awarded a player about $3.7 million jackpot from Mega Moolah. Hence you have nothing to fear if you strike gold for you shall be paid in full. Away from the goodies that you have been reading about Spin Palace all day, another good reason to consider this casino is the fact that it’s concentration is not on slots alone so if you are not the slot freak, you might want to try out the numerous table games which were specially designed to simulate the real deal as if you were playing in a land based casino floor. This capability is borne out of the supersonic HD graphic and crisp animation technology that the developer embedded in the site. The transparency and fairness in the random number generator is also a critical point to note and in this regard, the casino excels. So for each dice you roll, each card dealt and each time you spin the wheel, you can be assured that you are been treated fair. Spin Palace Casino has an enterprising VIP and loyalty program for players who play frequently. The VIP club is six stages from the entry level which is Blue to the most exclusive which is Prive. The way the promotion works is that the more games played, the more points earned. To graduate from Blue to the Silver level, you must garner 2,500 points and double of that to move upward to the Gold level. With 10,000 points, you will be admitted into the Platinum level. By being tenacious and dedicated, some members achieve the 200,000 and 500,000 points required to get into the Diamond and Prive levels respectively. The key to retaining your status in the casino is to keep playing and by winning more games, your bonus point spikes. 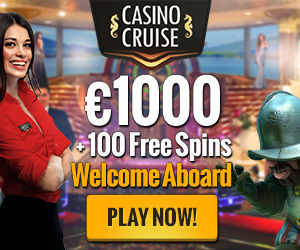 Your status in the casino is also critical to accessing the mouthwatering bonuses exclusive to loyal customers and also some lofty tournaments which is organized by the casino from time to time. The beautiful part of being a member of the VIP club at Spin Palace Casino is the bumper rewards that the high rollers in the casino get including a Platinum Loyalty Tier where any point achieved spikes by a staggering 40% after withdrawals. Customer support at Spin Palace is awesome with a 24/7 operational desk which attends to customers and you can also call in or use the live chat option if urgent support is required. The email service although slower than the previous two, is also pretty efficient with response not exceeding 24 hours. The biggest rewards could be yours, get your €1000 in guaranteed bonus cash today from Spin Palace Casino.